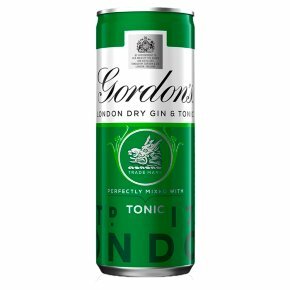 Here is one of the most famous classic cocktails, the timeless G&T, neatly packed up in a pre-mixed measure of Gordon's gin with crisp Schweppes tonic - the perfect serve waiting for you in the fridge. Just add ice and a twist of lemon. Delicious with warmed spicy chorizo and salty Manchego cheese.